The training classes card is valid for any of the available Faithful Friends available training classes. Each card is valid for 10 classes within 6 months of the purchase date. Your card is required at each class session that you attend. One card can be used for multiple dogs. 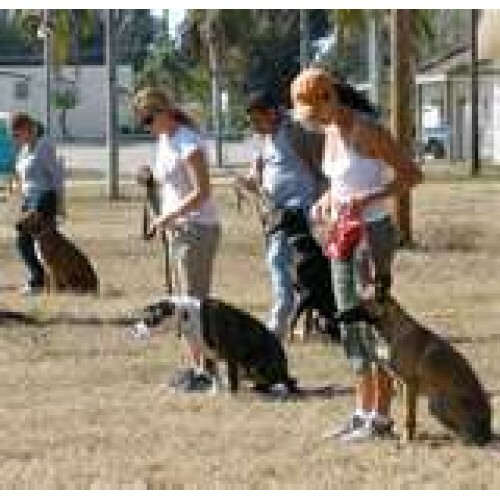 Each dog would receive a "punch" at the attended class. Please allow approximately 75 minutes for training. Positive reinforcement is anything that increases the likelihood that a behavior will be repeated. There is a positive relationship between behavior and consequence. The more the pet does a behavior, the more consequence it receives and what it gets is good. This makes that behavior increase.